Redi Clean is a trifecta of water well products created by Continental Technologies, Inc. These products can be used in agricultural, industrial, municipal and residential wells to not only regain loss of volume, but to lengthen the life of the well by drastically reducing or eliminating iron bacteria buildup, corrosion and mineral scaling. 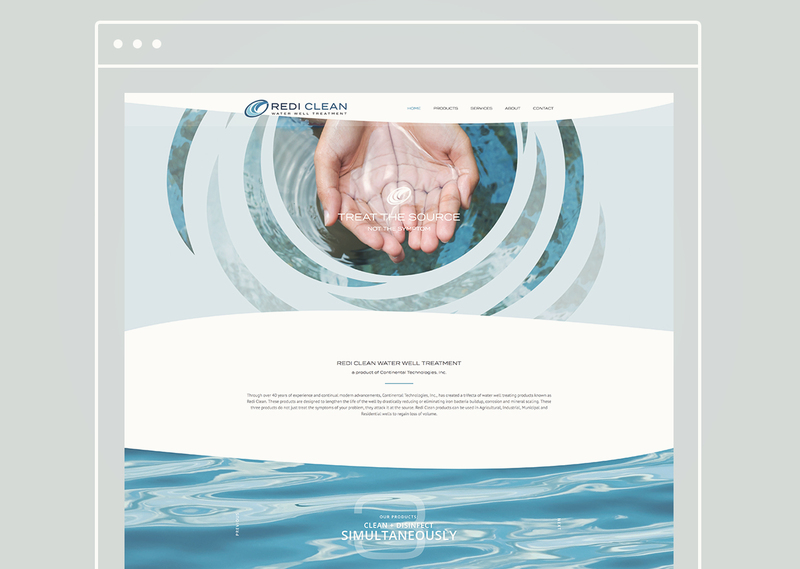 S&N Design gave Redi Clean a brand refresh and an entire website makeover to get them where they need to be within their industry. With these updates, Redi Clean plans on increasing their international sales.